While not such a creative name (If you come up with one, let me know!) this was delicious, nutritious and nostalgic for me. As a child when things got crazy in the house this is what my mom made us. I actually have been avoiding hot dogs, not because anyone told me to but because I assumed they were a no-no. 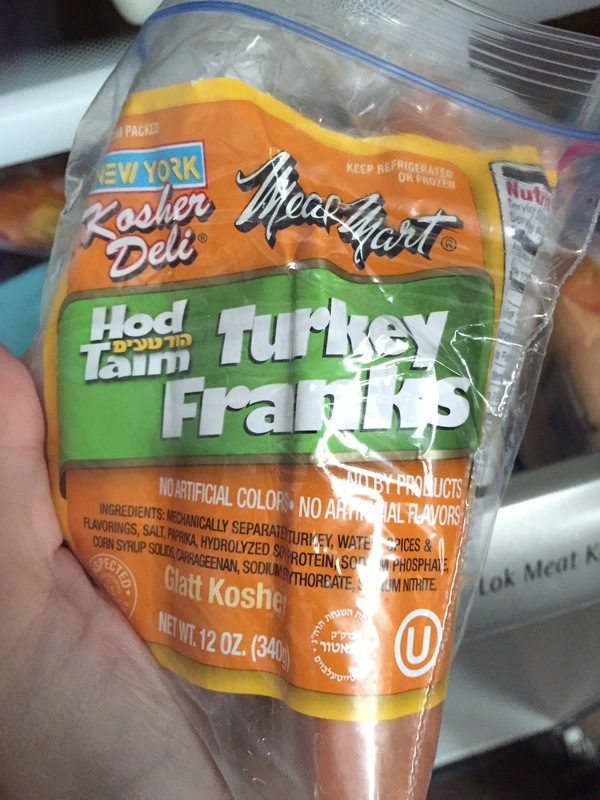 Well I called nutrition support and low and behold these Turkey Franks from Meal Mart are considered…. wait for it… a HEALTHY FAT! Weird, I know! So right away I jumped on it. Please Note: it is SUPER filling and we ALL had a hard time finishing our food. ALSO if you use a different brand or type of hot dog CALL NUTRITION SUPPORT to find out if its ok.
Heat up a skillet with the oil in it. Dice up the hot dogs really tiny and add them to the pan. Keep an eye on them, you want them to get crispy but not burnt. Once they are crispy add the eggs. Using a soft spatula keep moving the eggs around so they cook thru but don’t burn. You DO NOT need salt or spices. 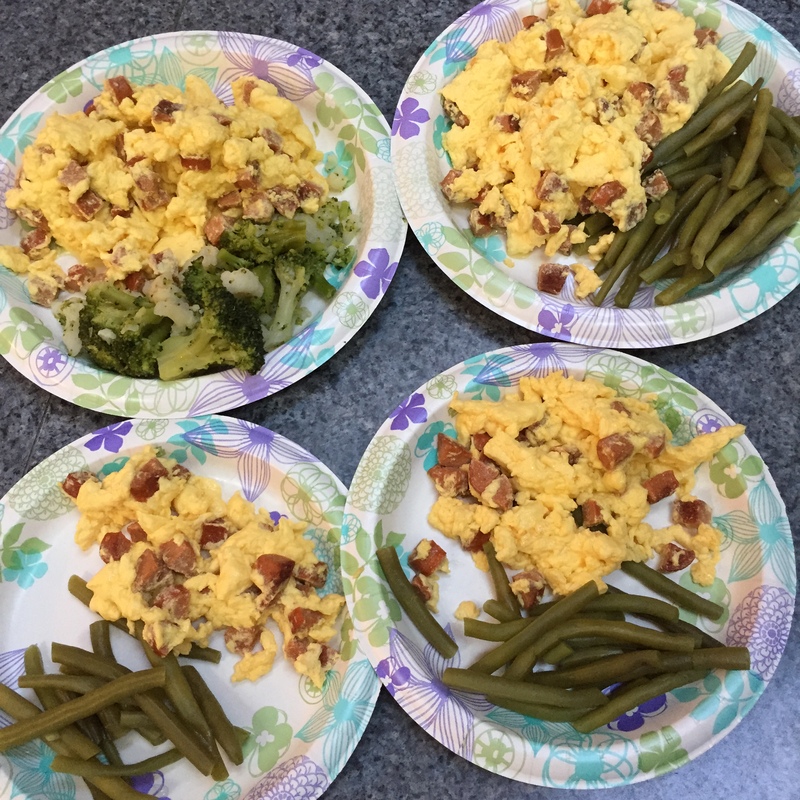 The flavor of the hot dog cooks into the oil and then the eggs take on all those delicious flavors. ENJOY!